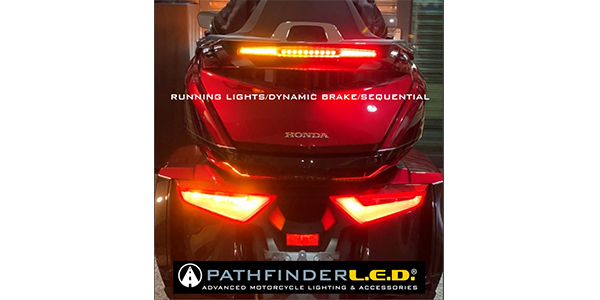 PathFinderLED released the High Mount Multi-Function LED light (G18HTL) for the 2018-19 Honda Gold Wing Tour with high mount sequential LED with dynamic brake, running lights. This product integrates with the Chrome Trunk Rack and will add superior visibility to the rear of your bike. Designed with high visibility features such as Dynamic Brake light and Dynamic Sequential turn indicators this light sets Gold Wings apart from stock models. 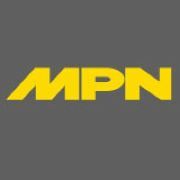 When brakes are applied, the Ultra Bright Dynamic LEDs activate in a rapid fire sequence which instantly alerts drivers behind you to respond quicker than they normally would. When the turn signals are activated, the Sequential LEDs have a dynamic swoosh effect, which resembles that of modern vehicles and increases your visibility and quicker reaction time from vehicles behind. Features of the light include running lights, dynamic brake lights, sequential turn signals and Plug N Play LEDs that not only draw less amperage from the bike but have quick refresh rates so they are “instant on” and this gives drivers a quicker reaction time.